Located along the Sarkhej–Gandhinagar (SG) Highway, Gota has emerged as one of the fastest growing real estate markets over the years. As revealed by 99acres Q3 Insite report, this suburb of Ahmedabad witnessed a 14 percent hike YoY in rental values and was preferred over established counterparts such as Thaltej and Prahladnagar. 99acres finds out why Gota is emerging as a promising real estate hub. Gota is well-connected to the city through Sarkhej–Gandhinagar (SG) Highway. The presence of the High Court and many educational institutions, banks, shopping malls in the vicinity makes it a promising locality. Some nearby prominent educational institutes include Nirma University, Aatman International School and Nirma Vidhya Vihar. There are a few multi-specialty hospitals in the locality such as Mamata Children Hospital, Shubham Eye Hospital, Kamdhenu Surgical Hospital and Medisure. Other key localities such as Adalaj, Gandhi-Nagar, Bodakdev and Thaltej are within 15 minutes from Gota. “The area enjoys efficient bus services and public transport system. Hence, it is logistically a strategic locality for working professionals. Sardar Vallabhbhai Patel International Airport is just 14.3 kms away from here. The Ahmedabad Junction is located at a distance of 14 kms,” confirms Mukesh Mishra from Setu Real Estate Consultant. 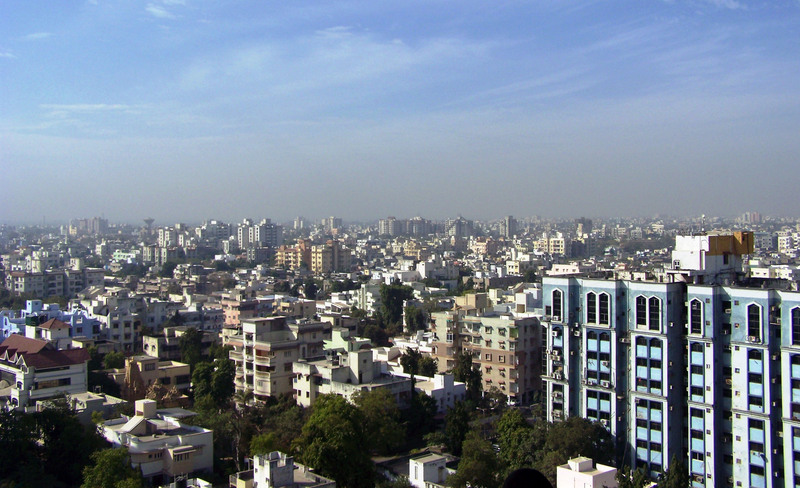 Ahmedabad itself has been considered as a hotspot for affordable housing. A city where industries such as oil and gas, energy, petrochemical and automobile manufacturing are driving the housing demand, Gota is a delight for affordable home seekers, where the maximum supply of properties are within the range of Rs 30-50 lakh. Even for tenants, it seems a budget-friendly location who are preferring it over Thaltej and Prahladnagar for its affordable price band. As per data available with 99acres.com, a number of projects in Gota were launched at an initial average price of Rs 2300 per sq ft. With the real estate market recovering slowly, the locality managed to be consistent during last quarter. As per 99acres’ Insite report, Gota saw a one percent change in capital values during the Jul-Sep quarter. At present, capital prices are in the range of Rs 3,000 to 3,500 sq ft.
Ahmedabad, which has always been a significant business and investment hub in western India, is also becoming a realty destination for contemporary living. Thanks to extensive infrastructural developments proposed by Gujarat government, the city is undergoing a visible transformation, garnering more investments from the Non-Residents of India (NRI). With the entrepreneurial nature of the population and a stable government, the city points towards a positive buyer sentiment. “This optimistic sentiment towards Ahmedabad is going to have a positive impact on Gota, which still falls under affordable housing orbit. Following the performance of the rental market, which is already performing well, capital market will also see a decent market movement in the future,” adds Sharma.